The interview below was done with Rashmi Bansal (IIM Ahmedabad, Class of 93’) in October 2013 when she visited IIM Lucknow for a guest talk organized by the Entrepreneurship cell at IIM Lucknow. 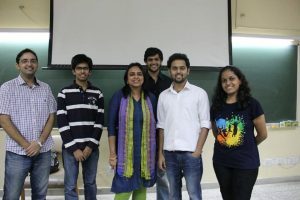 Shohita Choudhury from insideiim.com spoke to the author of 5 bestsellers on entrepreneurship, ‘Stay Hungry Stay Foolish’, ‘Connect the dots’ ‘Poor Little Rich Slum’ & ‘Follow Every Rainbow’. They spoke about different issues ranging from gender diversity at IIMs to the declining popularity of CAT, during a casual stroll around the campus. Here is an excerpt from their conversation. Shohita: You belong to the set of writers from the honcho producing centers of our country, the IIMs. How would you describe your journey? Rashmi: Like Narayan Murthy said, ‘To be an overnight success it takes 25 years’. So perhaps that is my story. I started writing from the 2nd yr. of college. I wrote in many different forms and mediums and then ultimately in 2008 I wrote a book which made me better known as a writer. So I would say that I have been a writer for the last 25 yrs. Shohita: Was it difficult to say no to that corporate job that paid the big bucks? Rashmi: We didn’t have fat paychecks then. I was very clear that I will not do a job I do not like to do. We had a few courses in 2nd yr which helped me realize this, such as LEM(Laboratory on Entrepreneurial Management) and ERI (exploring roles and identity ) where we had to introspect about ourselves and what we want to do in life. I guess there I finally realized what I want to do with my life. I’ve many a times done X when I wanted to do Y just because X sounded more logical. For example, in college I wanted to study English lit but I studied economics because it was perceived to be a more useful subject. But after 20 years who cares what you studied in college, so it’s probably better to study what you always wanted to. I wanted to be a journalist but I went to IIM instead, thinking that let me see what it’s all about. Having seen that I realized I can’t do a corporate job so let me just get back to writing. So I wouldn’t say I had any great plans in mind, all I had was a faint idea that I wanted to do something related to writing. People say you can take up a job and still be a writer. But I say that if I go for this 9 to 7 job then most of my time is spent in a role which is very boring for me. And in the remaining, might I add scarce free time I highly doubt that anyone would take up writing due to other commitments. Shohita: When you look back do you think that the two years spent at IIM A are paying off today? 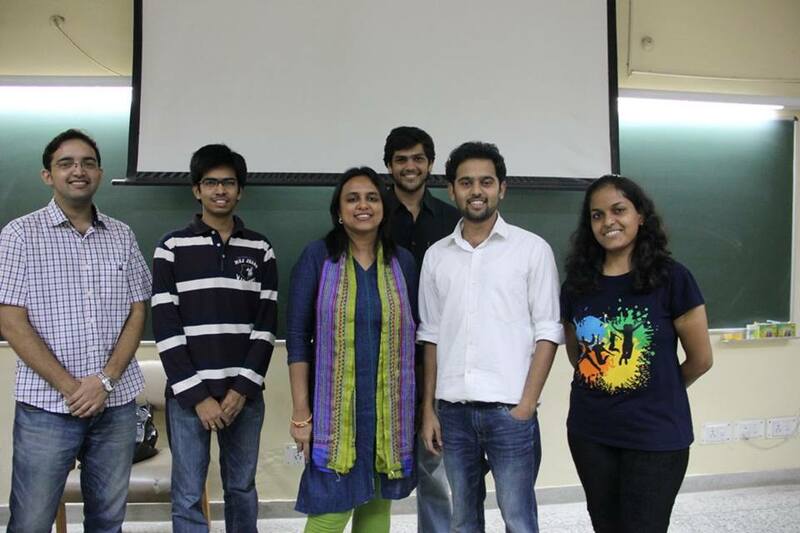 Rashmi: I am very grateful to IIM A for giving me many things. When one leaves a b-school one doesn’t just leave with a job. One develops as a person and leaves with a lot of exposure and expansion in ones thinking. I don’t know if all b-schools are like this because I get a sense that they are not. We at IIM Ahmedabad weren’t purely focused on business. We had courses on literature, leadership and the works. They taught us how to think and solve problems which can be useful in life. I met many wonderful people there and you carry such relationships with you all your life. Also the network of alumni is quite powerful at our institute. When I wrote my first book, I think I could write it better was due to the support of the people I met at A.
I think everything happens the way it should happen and one cannot predict that it would happen this way. Shohita: The IIMs are consolidating their position as promoters of gender diversity. How do you see this change with an increased number of girls in the incoming batches? Rashmi: In our batch we had 30 girls and it was a big deal back then because the previous batch had just 15 girls. I think numbers matter. With 30 girls I think that we had a better experience during those 2 years because being a minority does not really help. I feel that there should be a 50-50 ratio of men and women. If it requires giving them an extra push in the form of points then why not. Even back in our days it wasn’t revealed what the criteria was but they would keep on experimenting with ways to increase diversity. Every institute has the right to take in the profile that it wants and I don’t think there’s anything wrong with that. When girls join a B school they should have a little clarity about what they want in future because the career path won’t automatically reveal itself to you. So 10 years down the line, if today there are 173 girls in your batch then it shouldn’t be the case that half of them just drop out. There should be an understanding about how they can pursue a career despite all the challenges that they would have to face as women. A path has been opened for women now and they should take advantage of that. 20 years back, that is the time when big FMCG firms started taking girls for the core functions like sales. Earlier, it was a given that if you’re a girl you’d be placed with their HR department. Even in the interviews one would have to face questions like ‘when do you plan on getting married’ ‘when are you planning to have children’. I don’t know if companies ask such questions today but I guess it is still there at the back of their minds because women are dropping out even today and that too in large numbers. So while it’s true that companies have to do something about this, the onus lies with women as well. They need to think how they can learn from those who have had excellent careers before them and how have they done it. It’s important to have a plan in place. The point I want to make is that if today business schools are taking in more number of women then I would like to see the change getting reflected in the corporate world. Shohita: Almost all women have to take a career break a few years after entering the corporate world. They often find it difficult to get back to work due to a number of factors. Do you think that entrepreneurship is a way out in such a scenario? Does it provide women the much needed work life balance? Rashmi: There are two things to this. You might have to take a break but it does not mean that you cannot catch up. There’s no point comparing yourself to someone else. And not just for girls but guys as well, there’s no point in having a career where you are constantly benchmarking yourself against your peers. It does not work like that. If you’re good at what you do then even with a slight set back you would be able to jump back quickly and compensate. If you feel you can contribute more in a corporate role then continue in that. But if you feel that you are not made for it then you need to rethink. Corporate life has its own set of advantages and disadvantages so if you do not enjoy that job and you have a desire to do something on your own then you should definitely consider entrepreneurship. I would not say that you get a better work life balance as an entrepreneur, you get more flexibility. For many years the work life balance for an entrepreneur is very poor. But you do get more control over your time. You don’t have a boss or someone else who would tell you what to do or what not to do. In the beginning if you feel that your kids are small then you can have a relatively small business and scale it up as they grow older. But that too requires patience. Ultimately everything is a choice, there’s nothing right or wrong. Rashmi: I think its good a lot of people wrote cat just because others around them were taking that test. Now, they are taking a more critical look at it. The people who are coming with the intention of getting an instant career boost by quickly getting a job will think again. Even then I feel it’s a large number. But then why? Let those who really want to do it do it. Rashmi: Write from your heart and write the book that is within you. You don’t have to think very logically that I’ll write something people want to read because even they don’t know what they want to read. If you are being true to yourself and writing something from your heart then it has a potential to connect with other people so do something original. Being a Xerox copy on another person never really works. Do not be afraid to do something which has never been done before. Also don’t be worried about who will publish the book. First write it and worry about it later because a good book always finds a publisher.